Massage therapy helps the body in many ways. Massage relaxes muscle tissue, which leads to decreased nerve compression, increased joint space, and range of motion. This can lead to reduced pain and improved muscular, tendon and joint function. Read about our many massage services below. Swedish Massage is the best-known type of massage and is the foundation for many other types of massage. The focus is on relaxation, comfort and stress relief. It uses soft tissue manipulation to stimulate circulation, help to flush the circulatory system, release tight muscles, improve blood and lymph flow, calm your nervous system, and promote a sense of relaxation and well-being, even reducing anxiety and tension in the body, which has been known to help relieve depression. Swedish massage is typically slow and gentle, is a lighter pressure, and is a good fit for people who just need to relax from life’s many stresses, as well as people who are unfamiliar (and even a bit unsure) about massage. 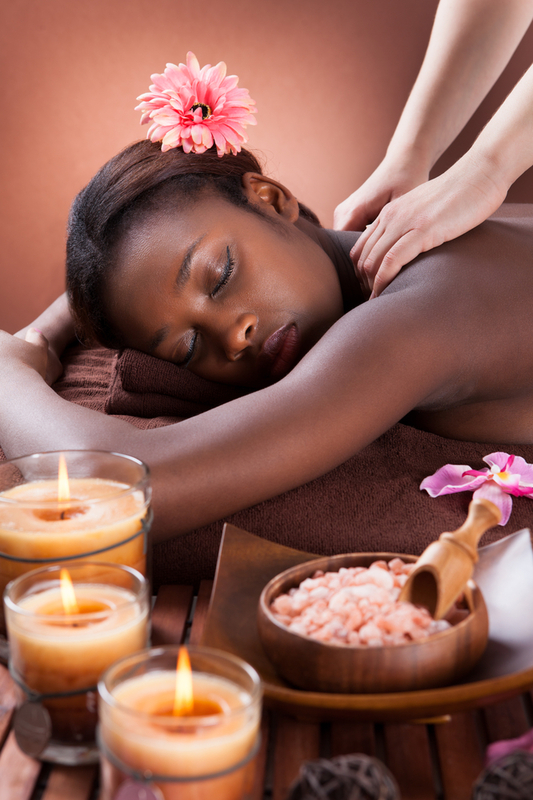 Therapeutic Massage is used to help relieve pain, reduce stress, and work on a specific problem. The focus can be on stimulating or soothing depending on the technique, depth and speed. Therapeutic massage works to help heal injuries and relieve muscle stiffness and soreness by producing effects on the nervous, muscular and circulatory systems of the body. A therapist will be able to feel the condition of the underlying tissue and adapt the treatment accordingly. Massage techniques are chosen for the effects they produce, which may be superficial, deep, trigger points, stimulating or soothing. Deep Tissue Massage is for releasing chronic muscle tension. The focus is on the deepest layers of muscle tissue, tendons and fascia (the protective layer surrounding muscles, bones and joints). It uses deep pressure and cross-fiber friction to release tissue that is in spasm. Deep tissue massage helps with both small muscle injuries as well as chronic problems. Deep tissue massage is an excellent way to deal with a sports injury, postural misalignment, treating spasms as well as deep muscle tension. During a deep tissue massage the therapist concentrates on releasing specific chronic muscle tension and uses trigger point therapy to release muscular knots, or adhesions. During a deep tissue massage, discomfort is normal and will be felt if there are inconsistencies within the tissues. It is these inconsistencies that cause the pain and muscular “knots” that need to be relieved. A couple’s massage is when two people receive a massage at the same time in the same room together, each having their own massage therapist to work on their muscular discomforts. Receiving a massage together allows two people to completely relax and release personal or mutual stresses, as well as express personal appreciation for the other person and how grateful you are to have them in your life. Couples massages are not just for couples though, and we often book mother-daughters, sisters, boyfriends-girlfriends, or just BFF’s having a girl-day together! It’s also excellent for anyone who has not had a professional massage before and would like the comfort of another person who has. Either way you will find comfort and a safe haven to unwind, sense the valuable presence of one another, and enjoy renewal together. NOTE: Couples massage is Swedish, Therapeutic, or Deep Tissue. During hot stone massage, your body is not only weighted down with hot, smooth stones, but the therapist also uses the stones to massage your body. It’s like being caressed by the smoothest (rollerball-like) hands. 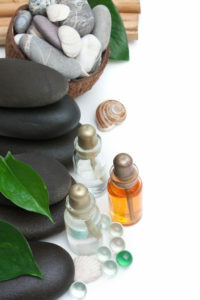 Enjoy a therapeutic essential oil of your choice incorporated into your deeply relaxing hot stone massage! Add an essential oil such as Lavender, Peppermint, German chamomile, Jasmine, or Clary Sage, or a blend such as Stress Management, Relaxation, Harmony, Clear Mind and many more! Ok, you won’t actually “get stoned”…but we thought you could use a laugh! 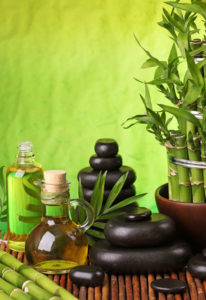 In this relaxing hot stone massage, therapeutic CBD oil is massaged into the skin to further the anti-inflammatory relaxation benefits of your massage. CBD oil is known to relieve pain, suppress muscle spasms, relieve anxiety, reduce inflammation, aide sleep, boost immune system, inhibit cancer cell growth and much more! Cupping Massage employs clear glass cups with the usage of a vacuum form machine that are applied on the skin and then moved in a pattern over the body for the stretching and opening of muscle tissue. When suction is applied to the skin using the cups, the reverse pressure causes cellulite to break up, blood circulation is stimulated, and the fat and toxins that are released are moved to the lymph drainage network. Cupping also sedates the nervous system and it is known to ease the cords connecting the skin and muscle. Cupping is used to relieve back and neck pains, stiff muscles, anxiety, fatigue, migraines, rheumatism, and even break up cellulite. Pregnancy Massage is a special type of a massage therapy tailored specifically to the needs of pregnant women and their changing bodies. Massage therapy performed during pregnancy can reduce anxiety, decrease symptoms of depression, relieve muscle aches and joint pains, help with low back pain, and improve labor outcomes and newborn health. Prenatal massage will relax muscle tension and improve lymphatic and blood circulation through mild pressure applied to the muscle groups of the body. Typically, it will address many common discomforts associated with the skeletal and circulatory changes brought on by hormone shifts. 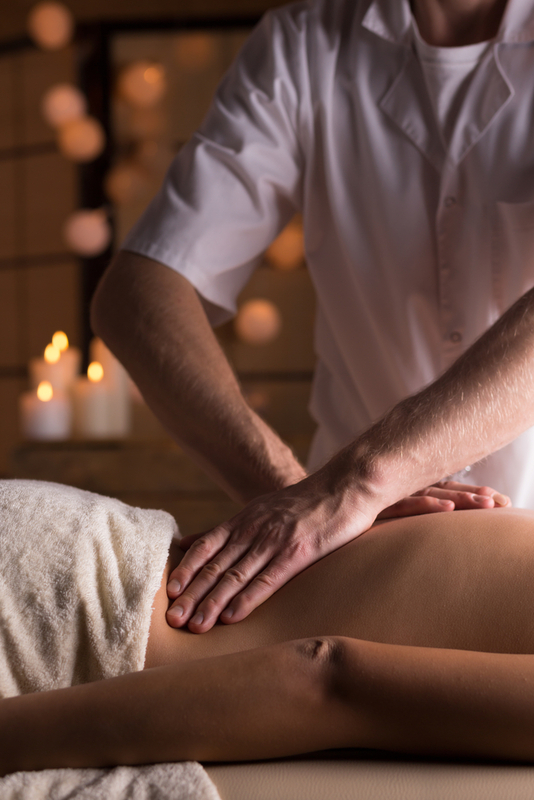 Before receiving a massage, pregnant women are advised to speak with their doctors to learn if massage is recommended. It is important to note that Prenatal massage does not incorporate deep tissue pressure. *NEW* Our head-to-toe massage is an excellent full body massage that includes the head and the feet and everything in between for an amazing massage experience! It includes a foot soak and scrub, full body relaxation massage, and a facial mask along with hot towels and cold stones. Pre-Event massage is 30 or 60 minutes long and generally happens the day of or 1 day prior to the event. The focus is on preparation for high-intensity activity not to correct dysfunction or reduce stress. Therapists will use compression, kneading, ROM & active stretching, vibration and tapotement–all performed at an “up-tempo” faster pace than other massages. The goal is get the athletes muscles AMPED UP for the event. Post sports massage happens after a sports event or after an intense period of over-stressing the muscle during any type of training or working out. It’s focused on recovery, increasing circulation, reducing muscle tension and overall calming the athlete. Therapists use effleurage (stroking), petrissage (kneading), broadening compression, joint mobilization, and assisted stretching. Deep work is minimal since muscles are still recovering from the intense exercise. The Whole Enchilada is a massage experience! It is a therapeutic massage with Cupping included and Hot Stones for an hour and a half of bliss. Then we add in a 30-minute Detox Foot Bath and all the Alkaline water you can drink. It’s pure delight.